What even is a zine? Until recently I had never heard of the word zine. I was catching up with a distant friend when I asked them what they were up to recently; they mentioned briefly they were working on a zine that they would sell on Etsy. Zine? I didn’t have a clue what that was. I asked my friend what a zine is, and they gave me a short answer: a self-published booklet. My interested was piqued. I decided to seek some out myself; a quick search on Etsy showed me the ranges of zine’s I didn’t know existed. They ranged from frivolous themes like constellations and zodiacs to more social justice topics like feminism and equality. No matter the topic the intention was clear: individuals are given the freedom to create. These zines often included original art or prose by the author concerning topics they were passionate about. They allowed the artists the ability to gather their work together in one neat little booklet. Now, I didn’t decide to make something to publish and sell online like my friend, but I did want to create something I could have fun making for myself. The first zine I made was created in Photoshop, and looking back it wasn’t the best thing I’ve ever made. But I enjoyed making it, and that’s all that matters. There is a specific pleasure in putting hours of care into a single object. Having something physical to display your work furthers the meaning that is already placed in what you do. If you’re a beginning writer, making a zine might help you gain confidence with your work. Who knows, it might even inspire you to upload your creation onto the internet! You might even be a best-seller on Etsy someday! Making a zine wasn’t hard at all, and you don’t need any fancy photo editing software to make it (though you totally could). 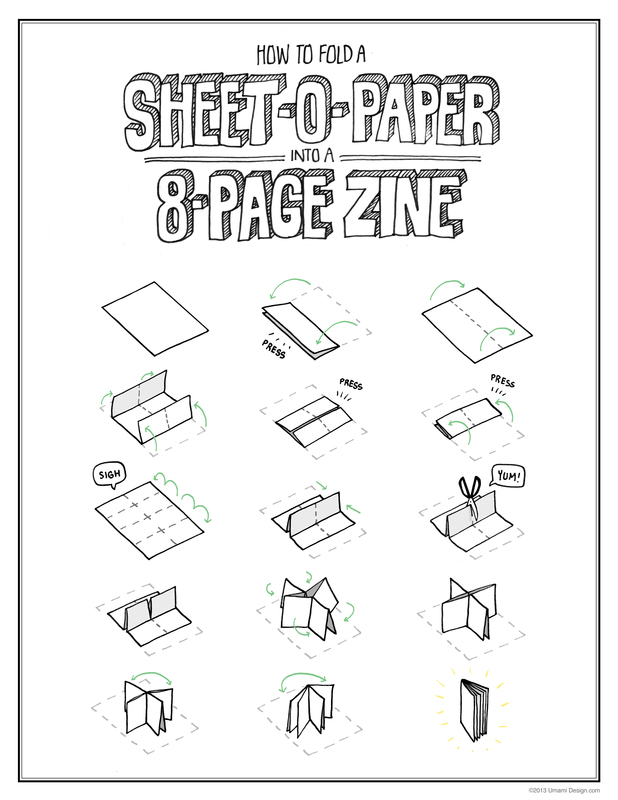 All you really need is some paper, scissors, and glue, and your creativity to start creating your own zine! There are multiple ways to make a zine. It just depends on the size you’d like to work with. Take four pieces of paper together and fold them over horizontally (hamburger style). Stack them on top of each other (make sure the creases line up). 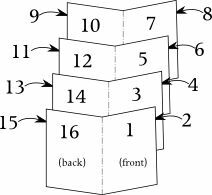 Staple to bind the pages together. Here’s a clearer visual to help you follow along. Want more examples? Look here, here, and here. Now take the bottom of the paper and fold to meet the crease at the center. Unfold the paper so it lays flat on the table. Fold outward so that the new cut line opens up. Need more instructions? Check here. For some of my favorite small-sized zine’s, check here, here, and here. Have you heard of zines before? Would you ever create your own? One thing I want to say is before getting more computer system memory, consider the machine in which it could well be installed. If the machine will be running Windows XP, for instance, the memory threshold is 3.25GB. Putting in a lot more than this would basically constitute just a waste. Make sure one’s motherboard can handle an upgrade volume, as well. Interesting blog post. Thanks for your thoughts. One thing I’ve noticed is banks along with financial institutions know the spending routines of consumers as well as understand that most people max outside their credit cards around the breaks. They properly take advantage of this particular fact and then start flooding your inbox and snail-mail box having hundreds of 0 APR credit cards offers soon after the holiday season ends. Knowing that if you are like 98% of all American public, you’ll get at the possible opportunity to consolidate personal credit card debt and move balances for 0 APR credit cards. These days of austerity along with relative anxiety about getting debt, some people balk against the idea of using a credit card to make acquisition of merchandise as well as pay for a trip, preferring, instead only to rely on the tried and also trusted means of making repayment – cash. However, if you possess the cash on hand to make the purchase 100 %, then, paradoxically, that’s the best time to be able to use the credit cards for several reasons.